Whatever is on your city-trip checklist, Antwerp can offer it. The city is full of surprising highlights, discover them all during your stay in Antwerp. 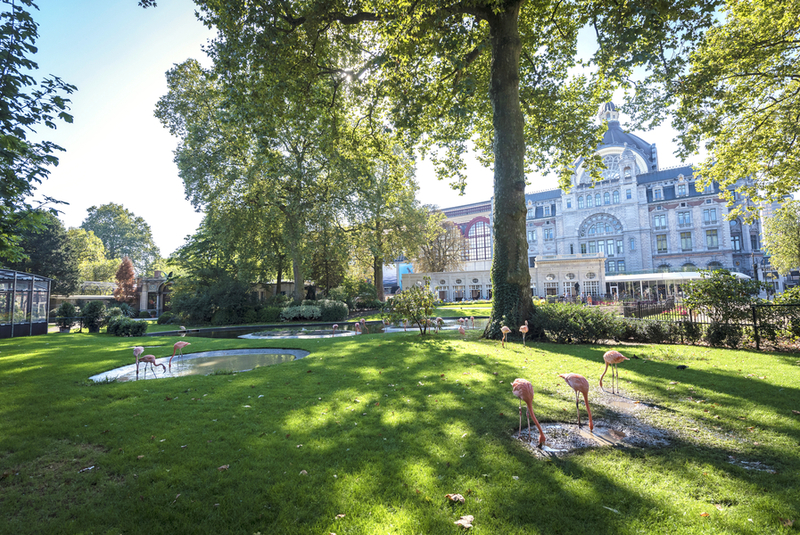 Antwerp has a lot of surprising highlights, such as The Antwerp ZOO is one of Europe’s oldest and most attractive city zoos. And a beach: St Anneke, on the Left Bank. Not only the beach is pretty unique for a city inland, the city also boasts a deep sea port 80 km inland. As you can see, Antwerp does everything that little bit differently. In the Antwerp skyline, the Cathedral of Our Lady takes pride of place:w it is the highest church spire in the Low Lands and is on the UNESCO World Heritage List. Quite a feat for a building with just one finished spire. A little further up, MAS | Museum aan de Stroom stands out: in this Museum at the River, the most beautiful work of art may well be the view. From the 60-metre high roof top, you can admire the whole city. Beside the MAS, Antwerp offers many other special museums. In addition to their top collections, they all have that something extra: the Middelheim Museum is a park full of sculptures, in The Rubens House, you walk through a famous artist’s house and Plantin-Moretus was the world’s first museum to feature on the World Heritage List. And then there are the museum-grade buildings, where you can either shop or eat – as you do – like in the Neoclassical (shopping) Stadsfeestzaal that accommodates a shopping centre, a former chapel which houses star restaurant, and the Palace on the Meir (once Napoleon’s) where you lunch or catapult cocoa up your nose when you order a chocolate shooter. People from Antwerp set the trend. This is evident from the many pop-ups and start-ups, and also in the fashion and diamond districts, of course. You will find more diamonds in the Diamond Square Mile – where international diamond hallmarks originate – than in the rest of the world. And peppered all over the city are dazzling shop windows full of attractive jewellery designs. Antwerp sets the tone where fashion is concerned, too: couture is not just in the boutiques, but also on the streets, at the Fashion Museum (MoMu) and at the college. The fashion department of the Royal Academy is one of the world’s most influential. Locals proudly refer to their city as cosmopolitan with a village atmosphere: you can find everything here, but always within walking, or at least cycling, distance (for which the Antwerp city bikes are available). Convinced? Book your stay in Antwerp right now.